While the digital world continues to take over most mainstream-entertainment activities, some might find the idea of board games outdated, redundant and ‘lame’. But board games seem to be making a popular come-back, with table-top gaming stores popping up all over the place. Gaming stores are great for anyone who wants to play away from home with friends, both old and new, in a safe and fun space. Although mobile and online gaming entertainment has been on the rise, researchers say that interaction during board games play a much more positive role in the social development of any individual. Yes, with some online games you can put on a headset and network with other players, but board games allow you to directly interact with your friends and family while they sit across from you. New table-top game stores seem to have resurrected popularity in board games, making board game events a new trend and filling up their stores with eager players of all ages. Zach Groenewald, owner of one of these game stores, witnesses the growing interest in table-top gaming at his store on a daily basis, while people of all ages, cultures and genders come together to compete, socialize and interact in a safe and fun environment. Apart from social skills, some researchers say that the educational skills practiced in many board games, can improve a child’s mathematical abilities significantly. 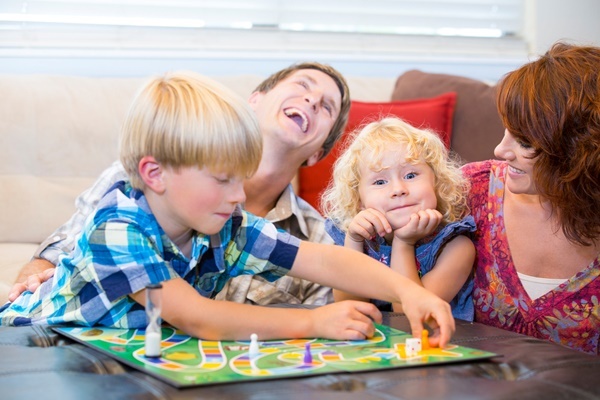 A Cape Town counselor, Kerry Acheson , believes that board games provide excellent social and emotional learning opportunities to younger children. What are some of your favourite family board games?